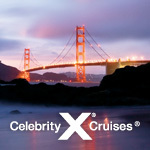 EXPEDIA CRUISESHIPCENTERS - Cruise with Celebrity + Get Expedia Extras | 7 Night Alaska from $554 !!! Cruise With Celebrity - Mediterranean, Baltic, Scandinavia, Caribbean, Pacific Coastal, Alaska + Expedia Extras | 7 Night Alaska from $554!!! TO BOOK ONLINE CLICK ON THE FLYER BELOW OR Contact us! Plavte sa so Celebrity - Stredozemne more, Skandinavia a Pobaltie, Karibik, Zapadne Pobrezie USA, Aljaska + Ziskajte Extra Bonusy s Expedia Extras | 7 Noci Aljaska od $554!!! KLIKNITE NA LETAK PONIZE A OBJEDNAJTE SI ONLINE ALEBO Nas Kontaktujte! 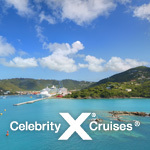 Whether you're a history buff or a food connoisseur, experience your dream vacation in Modern Luxury with Celebrity Cruises with your pick of 4 fantastic Expedia Extras! With cruises starting at just $81 per night on this 7-night Southern Caribbean sailing and your choice of additional Expedia Extras, your vacation will be that much more spectacular! Plus, exclusively for Captain’s Club Members: 50% reduced deposit! Discover authentic Greek cuisine in Santorini, or take in the breathtaking beauty of Alaska in Juneau, or bask under the endless Caribbean sun in St Kitts! Don't wait, embrace the joie de vivre of the life of a cruise on your next Celebrity Cruises adventure! Don't miss out, reserve your Expedia Exclusive Stateroom today for even more savings and Expedia Extras! Expedia® Extras: Pick Your Perk! Choose from Free Beverage Package, Gratuities, Onboard Cash Credit + More! Note: *Terms and conditions apply, please visit our website or contact your Vacation Consultant for details.